I was fortunate enough to join a contingent with The Arc of North Carolina and attend the 2017 Disability Policy Seminar in Washington, DC in March. It was an incredible learning experience, as I came to better understand the inner workings of our political system and the impact our legislators have on the government benefit system that so many individuals with autism spectrum disorder (ASD) and intellectual and developmental disabilities rely on for support. While I was attending this event, I had the opportunity to listen to speakers and read material that continued to fuel my passion for serving families in planning for their child’s future. My eyes were opened, once again, to the facts regarding our government benefit system and the fiscal issues that exist. For instance, 14 million individuals with disabilities receive Social Security, Supplemental Security Income (SSI), or both. In 2016, Social Security’s Trustees projected that, without any changes, the combined Trust Funds could pay full scheduled benefits until 2034, and then the fund could only cover 79% of scheduled benefits. The situation for Social Security Disability Income (SSDI) is more dire. The Disability Income (DI) trust fund can pay full scheduled benefits through 2023. Congress has not taken any action as of yet, but proposals exist that would cut SSI benefits and SSDI benefits in certain situations. There was also much discussion surrounding Medicaid. Medicaid is the primary health insurance program that covers over 10 million individuals with disabilities. It is the major, and sometimes the only, funding source for long-term supports and services for those with disabilities. It is this funding source that enables many individuals with a diagnosis to live and work in the community. There are proposals to adjust the funding stream for Medicaid that may end up shifting more of the cost of these services from the federal government to the states, and most states are not in the financial shape to handle those additional costs. Begin to pay strict attention to the happenings at the federal and state level of government, because the changes that happen there will have an impact on your child and your family’s future. 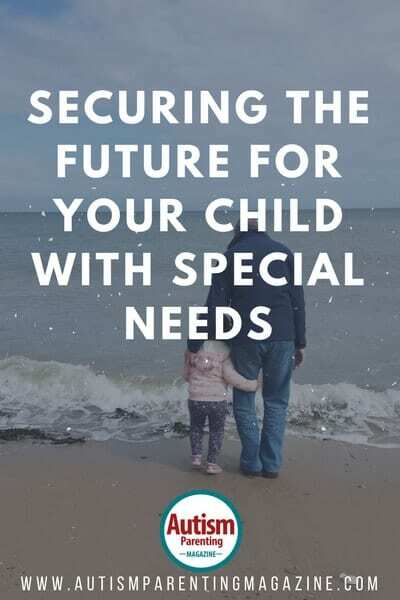 Get to work on a comprehensive Special Needs Plan in which you have considered the risk to government benefits and the impact that may have, and then implement a framework in which your child and your family can withstand those changes. I understand that the two action steps listed above are not easy, because we are all so crunched for time. I suggest subscribing to The Arc of the US newsletter and Action Alerts. That will keep you up-to-date on the happenings at a federal level, and your state Arc can help you keep tabs on any changes going on in your state. The second action step will take more time, but it does not have to be overwhelming or daunting. It can be done. You need to find a specializing professional to guide you, or find tools that you feel will allow you to create a plan. Please feel free to visit our website at www.ASpecialNeedsPlan.com for more information and helpful resources, or you can also go to www.HowtoSecureTheFuture.com and sign up for a webinar series that will provide you with helpful information to get started. There are two items we all know will happen: change will occur, and our children’s future will go beyond our own. Let’s get involved in order to secure both those items.